Mini Joints – Bigger Is Not Always Better? Contrary to popular belief, smoking more weed than normal will not necessarily get you any higher. So have you considered mini joints to get the perfect high without wasting your precious herb? If you want to get high without wasting your greenbacks or green, consider pre-rolled mini joints. Marijuana smokers are often looking for creative ways to maximize their high. Contrary to popular belief, smoking more weed than normal will not necessarily get you any higher than your regular dose, but it will certainly cause you to waste your precious herb. If you are in a state that has legalized marijuana, you have probably seen the standard 1-gram pre-rolled joints for sale in dispensaries. These pre-rolled joints are usually priced between $10-$15 and with 1 gram of weed in each joint, you can get a group of 6 people high with no problem. But what if it is just you and one friend who want to smoke? What if you want to try a variety of flavors but only have $30? They smoked the mini joint and found themselves perfectly high with weed to spare for another joint. Within a month, the HCH team had developed their own mini joints for sale in their shops. The ¼ gram joints are priced at $6 per joint, 6 joints and a free carrying tin for $33, or 12 joints for $60. These mini joints will help you manage your marijuana consumption, and allow you to sample a larger variety of strains for a cost similar to buying just one 8th of your favorite strain. Summit County Colorado is the home of Colorado’s coveted ski resorts and attracts a lot of tourism during the winter months. 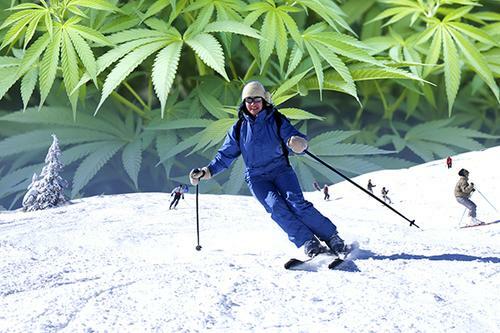 Dispensaries estimate that 90% of their sales come from out of state tourists who are just as excited to ski as they are to try Colorado’s #1 crop – marijuana. Not all tourists are seasoned marijuana smokers, so providing them with a smaller joint is an effective way to help them monitor their smoking. Many tourists are new to marijuana smoking, and they are often confused by dosages and THC content when faced with an array of marijuana products for the first time. The only issue with these mini joints is their price. You can buy 1-gram joints for about $15 and 12 ¼ gram joints for $60. So, three 1-gram joints would cost you about $45 while the same 3 grams in mini joints would cost you $15 more. Yes, you would potentially get to try 12 different strains, but with the increasing costs of ski passes and lodging in Colorado, $15 might actually be a waste of money. Perhaps buying loose herb and learning to roll your own mini joints would be a more economical solution. Either way, it is great to have options especially if you are just visiting Colorado for a few days. 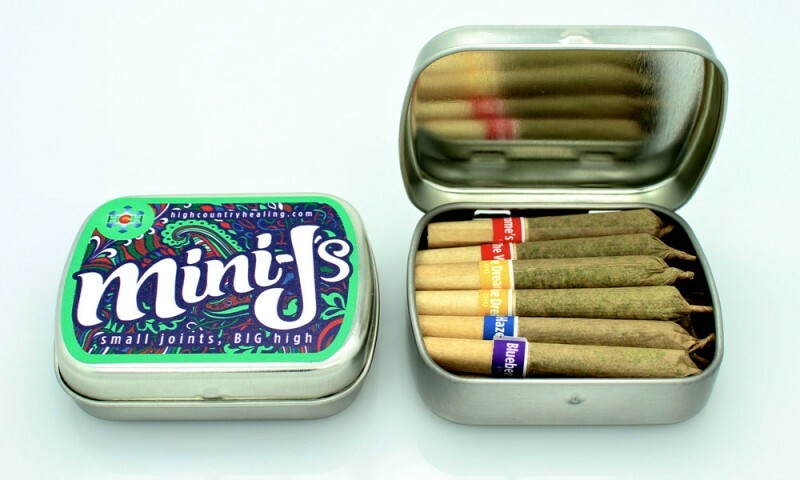 Would you use mini joints over standard-sized joints? Let us know on social media!